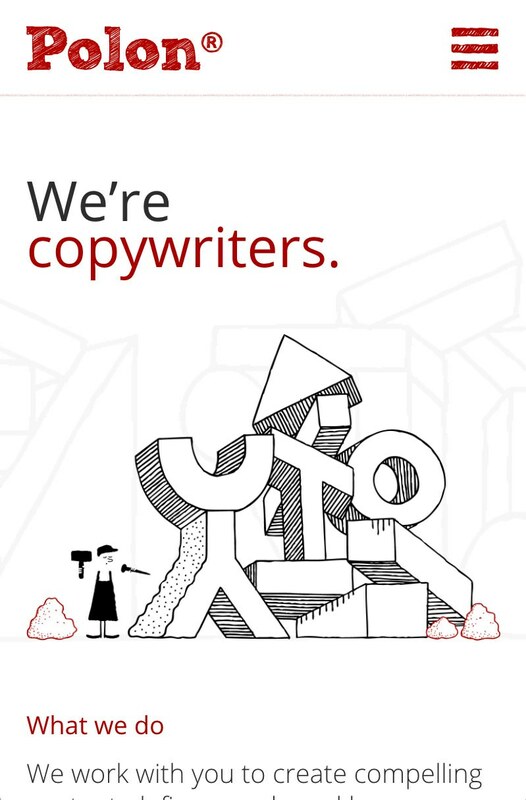 For Matt and Janet at copywriting studio Polon, writing is a craft that involves shaping persuasive words and ideas for clients. To get this message across, we created a site founded on a striking visual metaphor that has helped them land major contracts. With the help of illustrator Stewart Armstrong, we created the motif of a character chiselling, sawing and hammering material into distinct letter shapes. 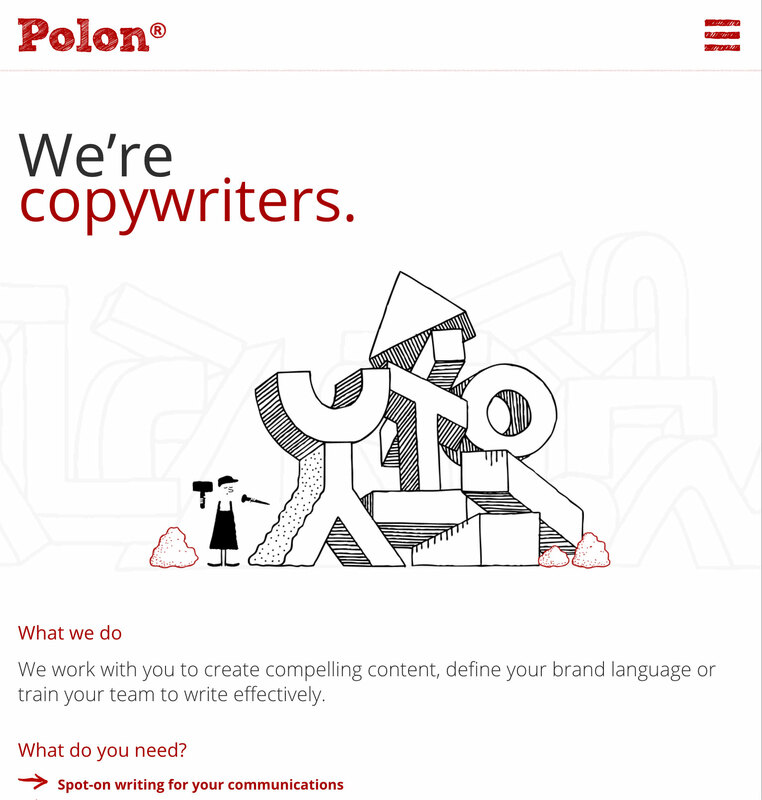 Popping up throughout the site and in an accompanying promotional animation, the character reinforces the idea that Polon produces carefully crafted words and ideas. They’ve even given him a name: Henry. We also simplified the site structure and brought the site’s backend up to date to make editing the content as easy as possible. Craft CMS was perfect for Matt and Janet – with the handy live preview they can now see exactly how their content looks across all screen sizes before publishing. 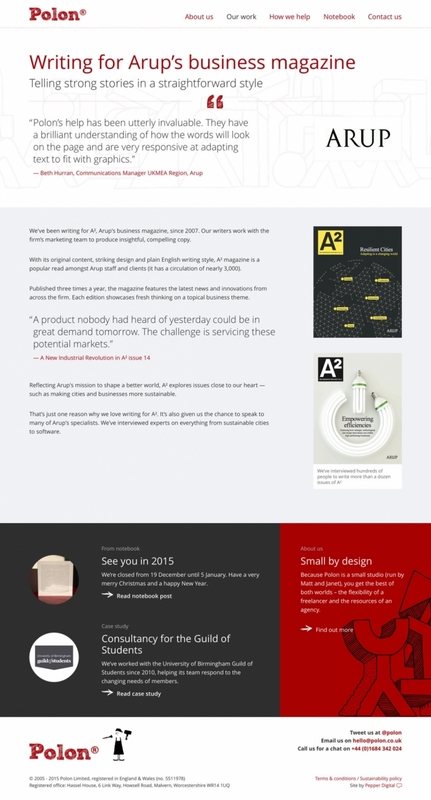 We’ve worked with Matt and Janet for nearly a decade and this is the second site we’ve produced for them. 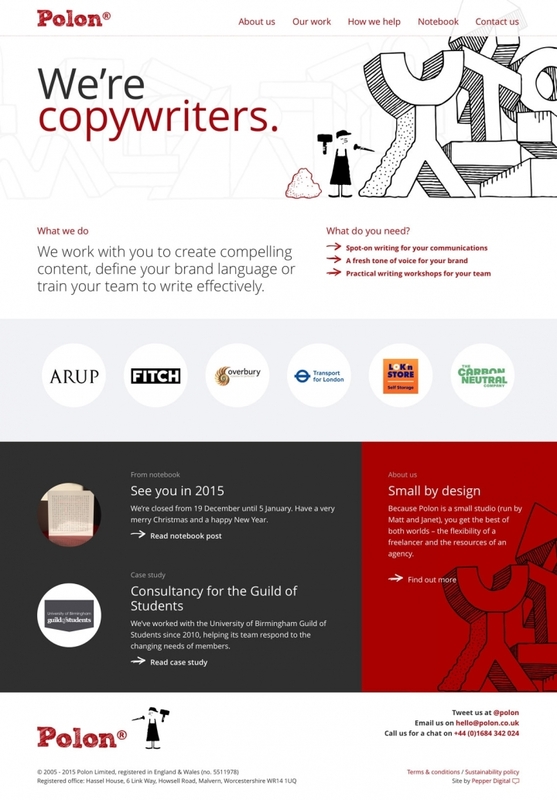 The latest site has helped them win new clients and larger contracts – including one with a global law firm. We were impressed with Pepper’s work on client projects, so they were the natural choice when we came to refresh our own website. 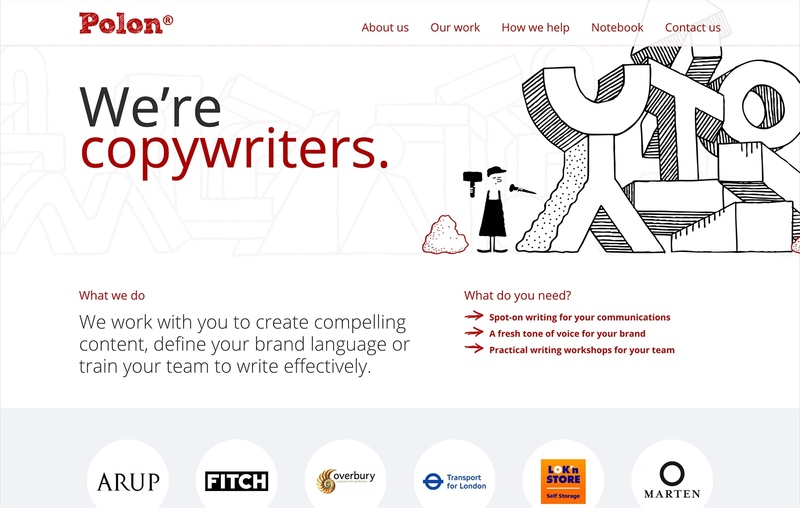 The team understood exactly what we needed and created a site that’s great to use, attracts admiring glances and wins us work. Who could ask for more?